The obvious benefits of facials are…well, obvious: they clean and moisturize your skin, are a wonderful opportunity to relax and enjoy some “me” time, and..well, they just feel good. Facial treatments offer myriad benefits beyond the obvious, however. 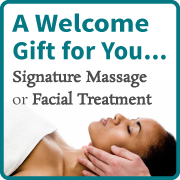 Having a facial can increase your circulation, aid in lymph drainage and help tone facial muscles. Surprised? Here we’ll explain how facials benefit you in ways that aren’t just skin deep. Facials help stimulate the lymph system. By getting toxins on the move facials activate your lymph system, a gland system throughout the body that works to get rid of toxic matter within the body. You can feel lymph nodes easily on your neck (and even more easily when you’re sick: lymph nodes swell to accommodate your immune function and get the junk that’s making you ill out of your body), but you’ve got them all over your body., Facials help keep your lymph system active and healthy. Facials help deliver anti-aging benefits. Aside from melting away stress -one of the largest contributors to the visible signs of aging- facials also aid with anti-aging benefits by increasing circulation, rejuvenating the skin and relieving facial muscle tension. Facial massage increases collagen production. While it can take a little time for the anti-aging benefits to start to show, the glow you’ll end up with is well worth it! Facials can help with TMJ problems. The temporomandibular joint is a bilateral synovial joint of the jaw. TMJ dysfunction can lead to pain, difficulty eating, sleeplessness, irritability, and a host of other problems. Facial massage can help ease TMJ symptoms and is often recommended by dentists in the know as an adjunct therapy to conventional treatments. Facials can help decrease sinus pain and pressure. Anyone who has experienced sinus pain knows it’s pretty miserable. Did you know, though, that a 20-25 minute facial massage focused around the sinus area can get that sinus crud moving and drained, leaving your sinuses clear as a bell. True story! At Soak Skincare Spa we enjoy utilizing facials to promote these as well as many other benefits for your increased health and well-being. Book your appointment today and see what the wonderful world of facial care can offer you!